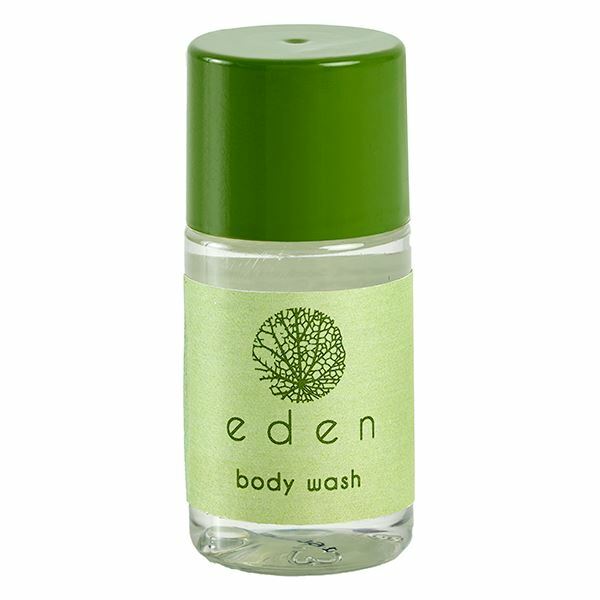 Part of the new and improved Eden range, this 20ml Eden body wash is enriched with moisturising aloe vera extract to soothe and nourish the skin, while the sweet, subtle scent will leave skin lightly scented. The bottles and caps are 100% recyclable, while the formula itself is highly biodegradable, vegan friendly and free from petrolatum, parabens, silicons, GMOs, and synethetic colourants. yet to deliver this item but have had before and smells beautiful and fresh.